This entry was posted by Jen on November 8, 2009 at 2:59 am, and is filed under Randomness. Follow any responses to this post through RSS 2.0.You can skip to the end and leave a response. Pinging is currently not allowed. .-= Nancy@ifevolutionworks.com´s last blog ..All I Want for Xmas =-. 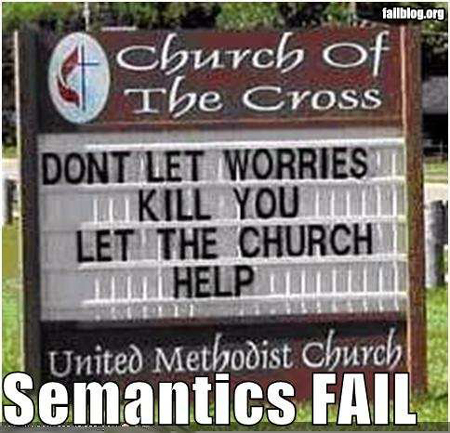 Yeah, sometimes people don’t think through what they’re trying to say before they put up a sign saying it!